Prenatal tests can be stressful to think about but are vital to both you and your baby's health. These tests allow your doctor to regularly check your baby's development and look for conditions and diseases that could be harmful. 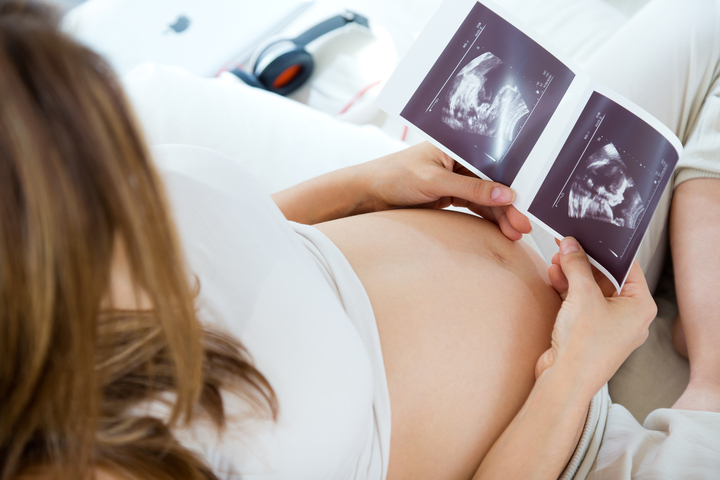 Read on for an overview of prenatal tests broken down by trimester. At each doctor's appointment you will give a urine sample. They will test for protein in your urine (to see if you are dehydrated) and for high blood pressure. During your first prenatal visit, you will get an ultrasound to confirm the pregnancy and a standard pap smear. Blood Work: You will be asked to give a blood sample that will be tested for various diseases and conditions. The doctor will also test your blood type and RH factor. If you are 0- you will need to get Rohgam shots to prevent the blood mixing when baby is born. Week 9: NIPT (Noninvasive prenatal test): This test can be given any time after week nine and screens for chromosome abnormalities & genetic disorders such as Down Syndrome, Spina bifida, and congenital heart defects. These are tested through a blood sample. You can opt for more invasive tests later in your pregnancy. Weeks 10 to 13: CVS and amniocentesis: If an NIPT shows that your baby has a higher than usual risk for certain conditions, your doctor may recommend chorionic villus sampling (CVS) or amniocentesis, which look at the genetic makeup of the baby. Nonstress test: This test is done when there is a factor that could cause fetal distress and is combined with the Biophysical Profile (BPP). Biophysical Profile (BPP): This test evaluates four aspects: fetal breathing and heart rate, fetal movement, fetal tone, and volume of amniotic fluid. Weeks 24-37: Group B strep test: Group B strep affects a small percentage of women and is a type of bacteria that's harmless to the mother but could cause an infection in the baby during labor. For more resources, check out this Pregnancy Test & Screening Infographic.